Why Should You Invest in Orlando Real Estate? 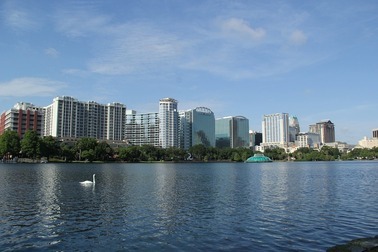 Orlando is Florida’s largest inland city and is known for the large numbers of tourists it attracts. More than 62 million tourists visit the city every year. Mention Orlando and everyone will jump up with excitement. It seems everybody knows and possibly likes something about this vibrant city. However, not so many people know why real estate investors are flocking the city at an astonishing rate. For this reason, we are going to explain why Orlando has become a gold mine for real estate investors and why you should be part of this craze. Below, we have highlighted six reasons why you should invest in the city’s real estate sector. A recent study by ‘Forbes’ ranked Orlando as a top real estate market because of its growing population. The study shows that the city’s population growth is near 3%. The job market also grew owing to Orlando’s booming tech industry. Over 150 international companies have invested in the city, and this has significantly improved Orlando’s job market. In fact, a recent survey shows that jobs grew at 4.5 annually. Population growth, low-cost of living and a strong job market attracts many to live in the city, and this provides you with a great business environment as a real estate investor. It is evident that beautiful surroundings play a significant role in the real estate sector. Modern home buyers value taste over price. If you want to start your real estate project in an area that speaks of beauty and uniqueness, Orlando is one of such places. The city has some of the best housing locations you will ever find. Besides, it has breath-taking sceneries, lush green surroundings, theme parks, natural beauty, and blue lakes. This is one of the main reasons why every real estate investor wants a piece of land for Orlando’s housing sector. Since tourism is high in Orlando, there has been a rise in demand for vacation homes. These are luxury homes rented to tourists as long-term and short-term vacation properties. Due to the rising demand of these homes, many investors want to buy them. This provides you with a reason and an incentive to invest in Orlando real estate. Like we mentioned before, the city has some major tourist attractions that appeal to people from all walks of life. These attractions have contributed to the current real estate boom in Orlando, and the city is also known for its warm and humid climate that makes it an enviable place to be. Tourism and good climate add to the investment value and will help you make it in the real estate world. Want to invest in Orlando real estate and don’t have the money? Don’t worry. Beyond bank loans, there are increasing numbers of capital investors in Orlando ready to offer you financial support in exchange for a small portion of your returns. In 2016, Orlando investors earned 14.9% in overall returns. What caused this high return percentage? According to Orlando real estate experts, 2016’s high return rate was due to above average rental costs in the city. The experts also noted that investors are taking advantage of the fact that Orlando has relatively low home prices when compared to other cities in the country. This is certainly another reason why you should invest in Orlando. Whether you are a seasoned investor, an overseas investor or a first-time investor looking to enter into the real estate world, Orlando is the place to go. Everybody now wants to buy a property in Orlando. You should not be left behind.